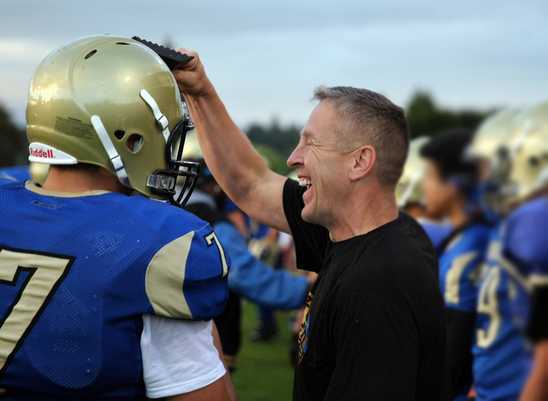 BREMERTON, Wash. — A Christian coach in Washington is planning to pray by himself after tonight’s homecoming game following an order from his school district banning students from joining him in the practice. As previously reported, Joe Kennedy, the assistant head coach for the varsity team at Bremerton High School and the head coach for the junior varsity team, takes a moment after each game to pray at the 50-yard line. According to reports, Kennedy prays alone of his own volition after the field has cleared and his coaching duties are through, but there are also instances when students and players decide to join him. He said that after beginning the practice in 2008, several team members approached him and asked what he was doing. However, last month, the Bremerton School District launched an investigation into the coach’s practices, and soon sent a letter outlining that some aspects of his religious expression must discontinue. It noted that Kennedy not only prays at the conclusion of each game, but also prays in the locker room with students and staff. While the district acknowledged that “[e]ach activity has been voluntary” and that Kennedy has not “actively encouraged or required participation,” it asserted that the practices were still unconstitutional. “In order to avoid the perception of endorsement …, such activity should either be non-demonstrative (i.e. not outwardly discernible as religious activity) if students are also engaged in religious conduct, or it should occur while students are not engaging in such conduct,” Leavell stated. While Kennedy has agreed to discontinue the locker room prayer, his attorneys with the Texas-based Liberty Institute state that he has done nothing wrong in seeking to pray by himself at the conclusion of each game. They say there is neither any constitutional violation in permitting students to join. The Liberty Institute sent a demand letter to the Bremerton School District on Wednesday, advising that Kennedy plans to pray after the homecoming game today, and asking that it rescind its restrictions. “No reasonable observer could conclude that a football coach who waits until the game is over and the players have left the field and then walks to mid-field to say a short, private, personal prayer is speaking on behalf of the state,” wrote Deputy Chief Counsel Hiram Sasser. The Liberty Institute says that it may sue the district if its prohibition is not reversed.